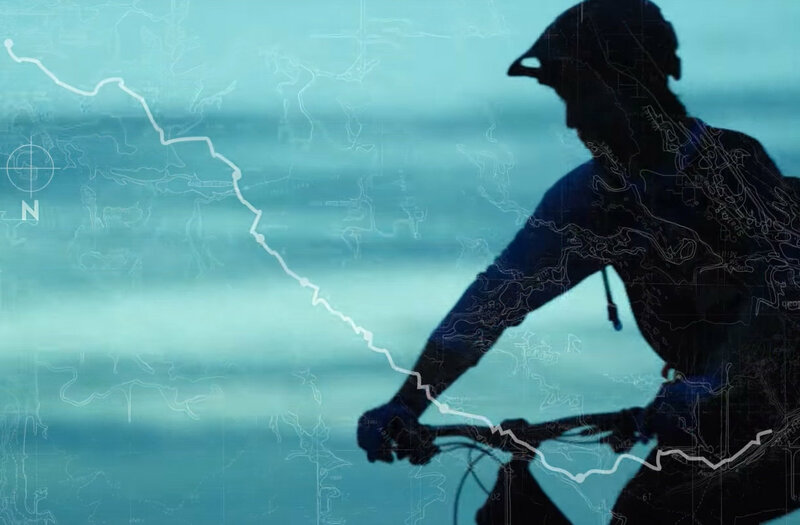 Prepare to experience different topography and climate in one ride. The red rock desert surrounding Moab, Utah is a harsh and barren landscape that only the toughest creatures thrive in. It is a place of surreal beauty, unlike anywhere else in the world. For these reasons, we return to Moab year after year to thoroughly and systematically beat the life out of our bikes. Moab is our proving ground – our worst line choice, wheel smashing, tire obliterating, backyard amusement park. Known to literally disintegrate tires from the sheer force of cornering, Luke Strobel has played an integral part in testing, developing, and bombproofing the latest M Series. For the final test, it’s Luke against 27.5 miles and 8000 feet of descending on the iconic Whole Enchilada. 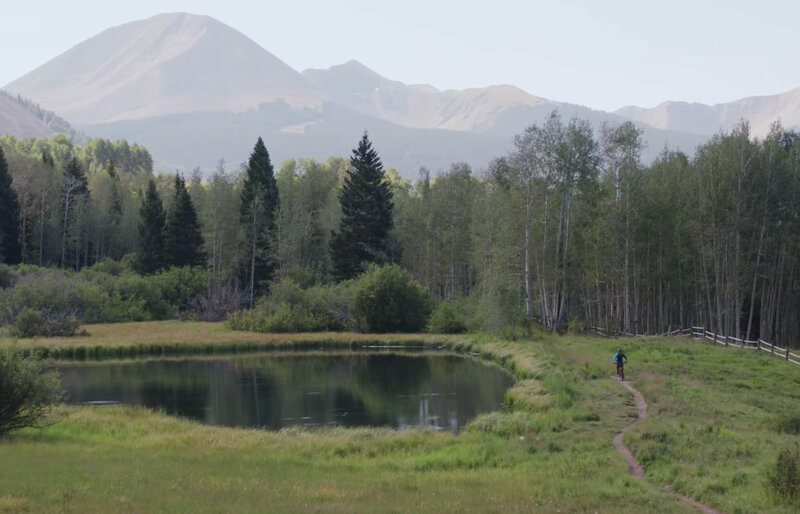 A battle of attrition for both bike and body, from the peaks of the mighty La Sal Mountains, through four ecologically diverse climates, finishing at the Colorado River. Starting at such a high elevation and ending in the desert means riding the whole trail in good conditions is elusive. The terrain is intensely varied in this iconic ride. The ride finishes with the Porcupine Rim trail, one that almost every enthusiast rider has done when visiting Moab. It in itself is an incredible trail. But when linked with the upper segments, it truly deserves the name – Whole Enchilada. 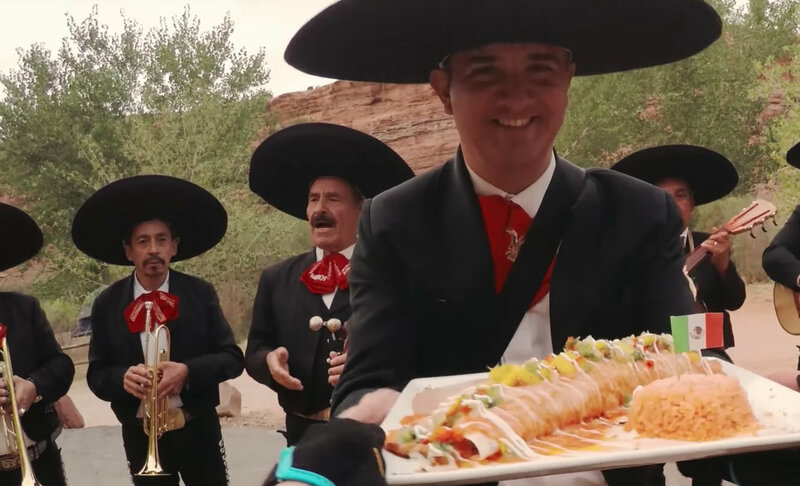 A nice ‘whole enchilada’ touch at the finish presented by the whole mariachi. 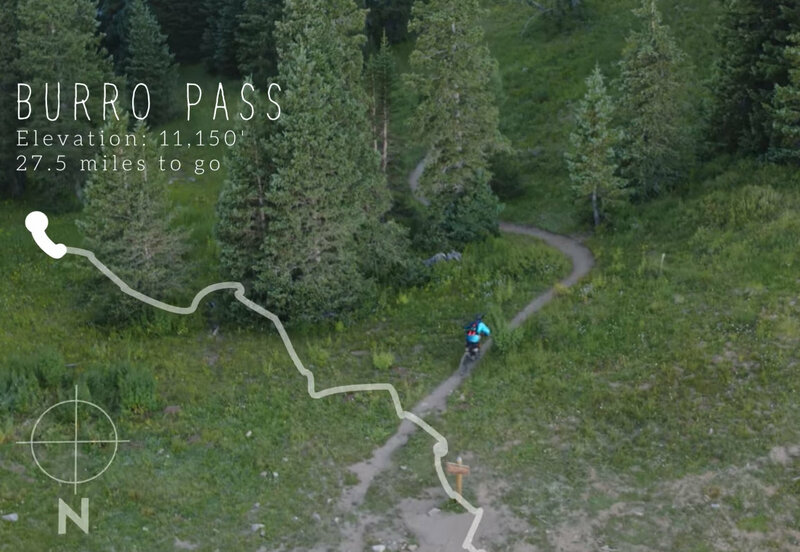 I’ve ridden the Porcupine Rim section of this trail before and it is one of the best epic rides in the entire U.S. Adding the upper section to make the Whole Enchilada would make it that much better. I took me 4.5 Hrs including the climb up from the shuttle drop off. That was not shown in this video. I also did the extra loop at kokopelli so 37.5 miles total. If you skipped the extra loop I would say plan for 4-5 hours you should be good. Three and a half to four hours should do it. From Jimmy Keen on down took a couple of us around three hours earlier this year. Add 30-45 minutes for the section above that. Easily add an hour for taking in the views and catching a breather now and then. The lower section of Porcupine absolutely beats the crap out of the bike and rider – very chunky. It’s definitely a bucket list ride.